The male is smaller, blackish-brown, the female is larger and brown. On each fore-wing can be distinguished two black eyes with blue pupils. 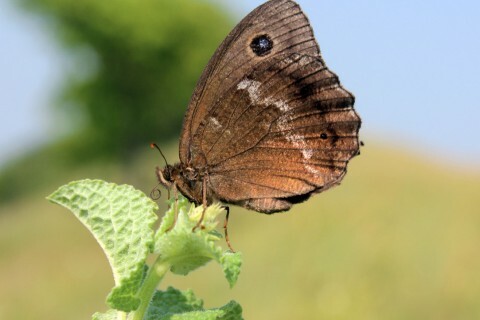 In females, on the underside of hind wings, there is a white band and a very small eye. 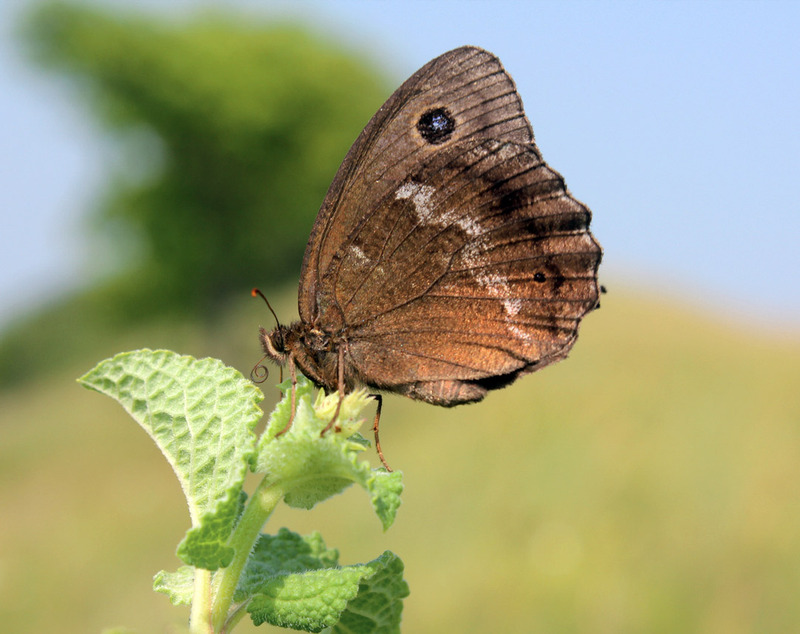 The butterﬂies prefer meadows with tall grass, sunny and warm,mown late and only once every 2-3 years. Ideal habitats also contain shrubs of blackthorn or hawthorn. Flight period late June to late August. Females lay their eggs in ﬂight, in areas rich in brome-grasses (Bromussp. ), on which the caterpillars feed. They over-winter at the young larval stage. In Transylvania, the species has been reported only in hot and dry grasslands, where they can be quite common. In the cultural mosaic landscape of Transylvania, where meadows are traditionally managed, no special protection and conservation measures are needed. It is an indicator of extensively used, even occasionally used, grasslands.